 He was a vulgar boy! 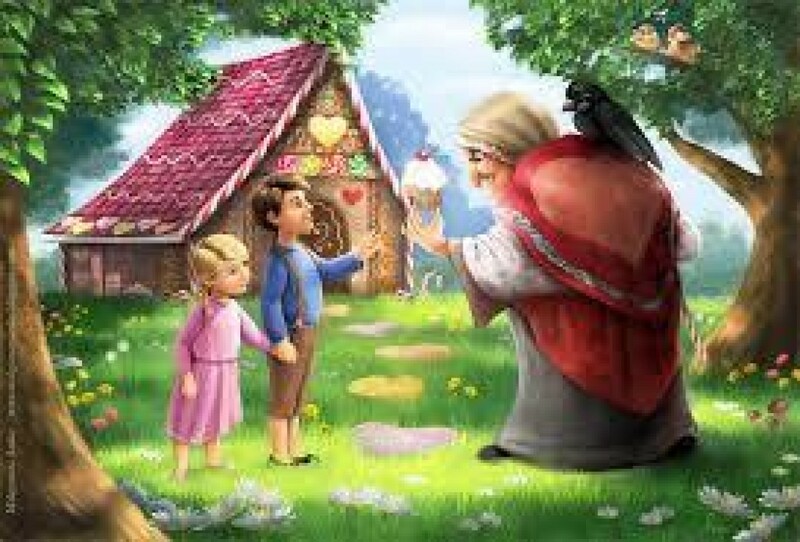 The old woman had appeared to be most friendly, but she was really an old witch who had waylaid the children, and had only built the little bread house in order to lure them in. When anyone came into her power she killed, cooked, and ate him, and held a regular feast-day for the occasion. Now witches have red eyes, and cannot see far, but, like beasts, they have a keen sense of smell, and know when human beings pass by. When Hansel and Grettel fell into her hands she laughed maliciously, and said jeeringly: “I’ve got them now; they sha’n’t escape me.” Early in the morning, before the children were awake, she rose up, and when she saw them both sleeping so peacefully, with their round rosy cheeks, she muttered to herself: “That’ll be a dainty bite.” Then she seized Hansel with her bony hand and carried him into a little stable, and barred the door on him; he might scream as much as he liked, it did him no good. Then she went to Grettel, shook her till she awoke, and cried: “Get up, you lazy-bones, fetch water and cook something for your brother. 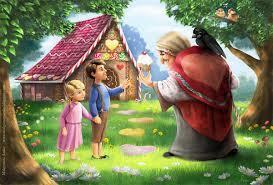 When he’s fat I’ll eat him up.” Grettel began to cry bitterly, but it was of no use; she had to do what the wicked witch bade her.